When it comes to real estate lending options, there is no shortage of different types of loan products available in the market today. However, one of the most common, and often most misunderstood, are hard money loans. If you aren’t familiar with these loans they are a unique type of lending opportunity that can help both buyers and investors get the financing they need. These transactions are most commonly used in fix-and-flips, rent-stabilize-refinancing deals, cash-out refinancing, land scenarios, construction deals, bankruptcy or foreclosure payoffs or transactions when the deal is particularly time-sensitive. In fact, one of the biggest perks of using hard money loans is how quick they are when compared to traditional banks. So, What Exactly Are Hard Money Loans? Hard money loans are fast—but there is more than that to these lending options. Simply put, hard money loans are an alternative to a mortgage and are designed for borrowers who need money quickly and who only wish to hold on to a property for a short period of time. Hard money loans can be used in a variety of settings, but are perhaps most common for those taking on fix and flip projects and who want to invest in real estate in an effort to make some quick cash. Typically, these loans are meant for short-term only (most commonly 12 months), but that doesn’t always have to be the case. These loans are also becoming a popular option for borrowers who are unable to get a conventional real estate loan. Lenders do not use a traditional underwriting process, and instead look at every situation individually. 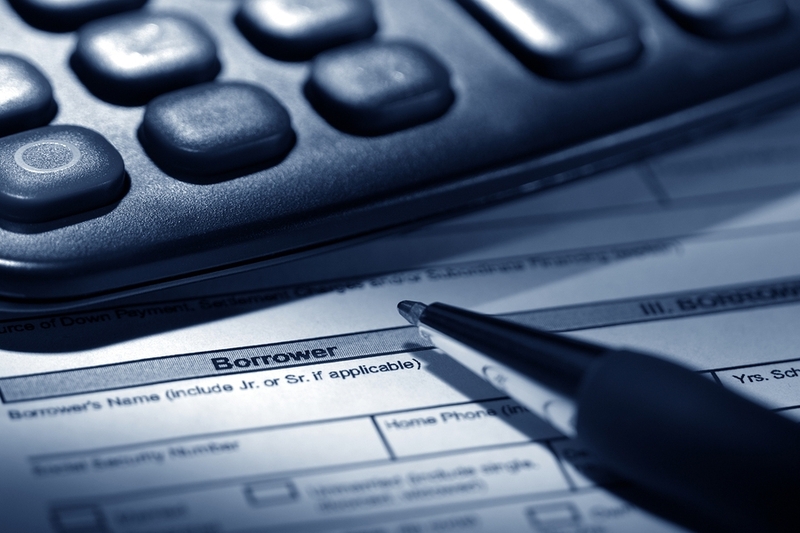 For borrowers who have had foreclosures or issues in the past, this can be great news as many hard money lenders won’t even look at the borrower’s credit history—they only concentrate on the property that is being invested in. Hard money loans are financed by private hard money lenders. Typically, they are private individuals or small groups that lend money to those who need it. Since these loans aren’t funded by a bank, they are typically much more flexible. When you apply for a hard money loan, chances are you will hear a great deal about the loan-to-value ratio. Hard money lenders will lend money based on the property you are buying, instead of your credit score and background. Instead of looking at assets or equity alone, the primary thing the lender will look at is the property being purchased. This is the main collateral that the lenders will use. This does make it riskier for lenders so they will typically look for a loan-to-value ratio of around 50-75%. The term “value” in the loan-to-value amount is actually based on what the lender could expect to get for the property in a one to four month selling time. This is why these loans are so popular for fix and flip properties. If you think that a hard money loan may be the right option or you, there are a few things you should know about the application process and what goes into securing one of these loans. The first is that the applications are simpler. Everyone who has ever gotten a mortgage before knows how complex a mortgage application can be. The good news is, hard money loan applications are much simpler. This also means they can be approved much faster. In fact, many of them are approved in just 24 hours. Closing can typically happen within 10 days. Once you are fully aware of what goes into a hard money loan and how it may be able to help you secure the finances you need—it is time to find a hard money lender. The good news is, there are many hard money lenders out there that are available to provide those who need it with the financing they are looking for. Hard money loans aren’t for every situation, but they are a very popular and very reliable form of financial backing for those who need to quickly and easily get a large sum of cash.